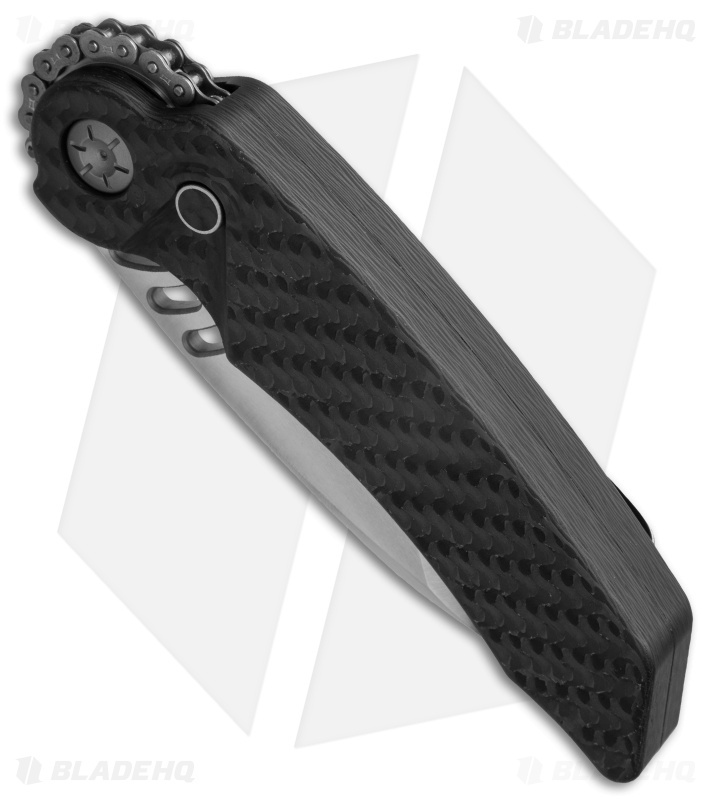 This custom Rat Worx MRX features a triple ground tanto blade with a satin finish. 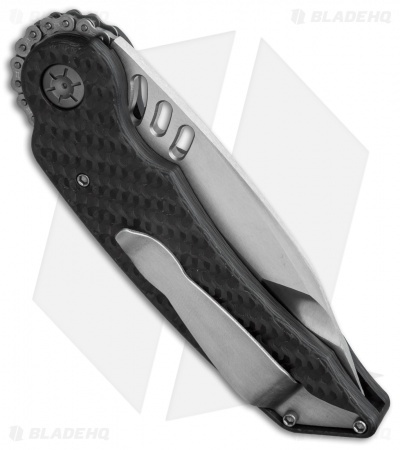 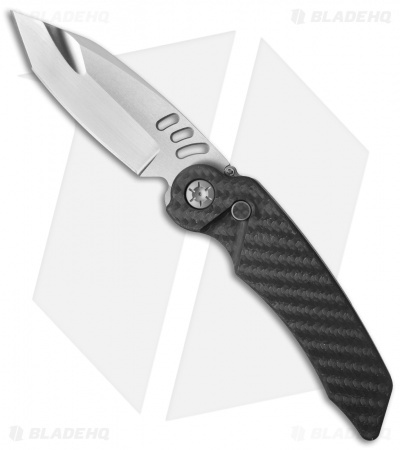 The handle is made from two solid pieces of carbon fiber and sports a brushed satin pocket clip for tip-up right handed carry. Pressing the CF accented firing button releases the blade with a satisfying chain-driven snap. Unique, triple ground, hand finished blade. 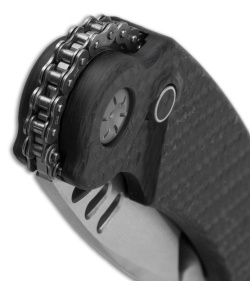 Permanently lubricated ball bearing pivot.